On a rural county road, there is only the breath whisper of a breeze, innumerable Cicada castanets clapping, and clumsy grasshoppers collide with spokes and fenders, pinging like a child’s toy piano. Wow, that's nice! Do you guys ever get those huge grasshoppers where you are? The ones that are (from my childhood memory at least) about 4" long and 1/2" thick? I went through a field last year and felt like I was being attacked by grasshoppers from every side. 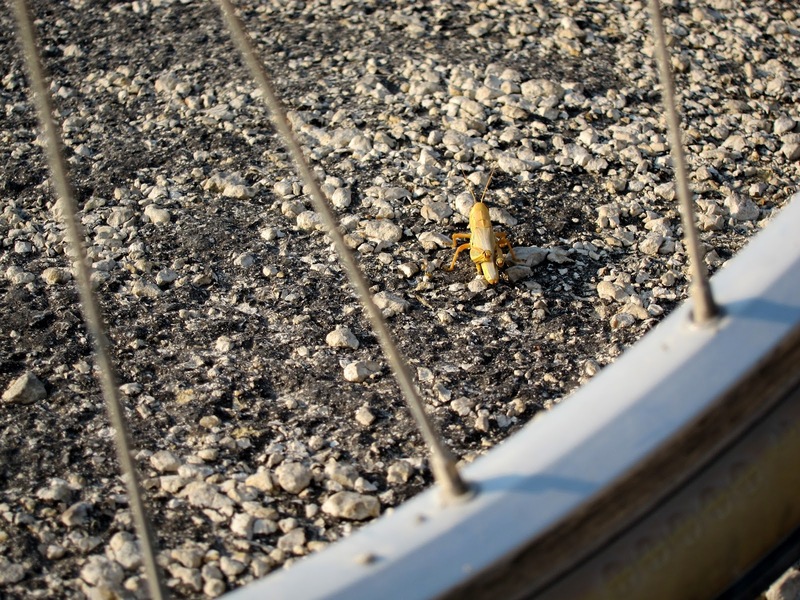 Yes, they went 'ping' as they flew into my spokes. Oh yes, the big ones, another reason to wear a helmet.